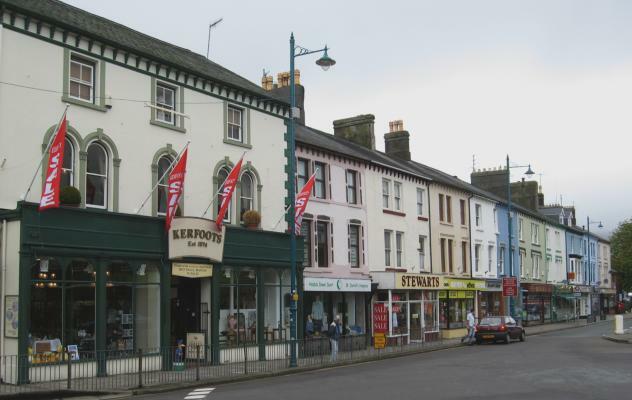 Porthmadog High Street @ High.St - High Street shops and High St businesses. Large Google map of Porthmadog High St.
Portmadog was named after W.A. Maddocks. His ambitious "Cob" embankment scheme on the Glaslyn Estuary led to the town's name, which means 'Madog's Port'. 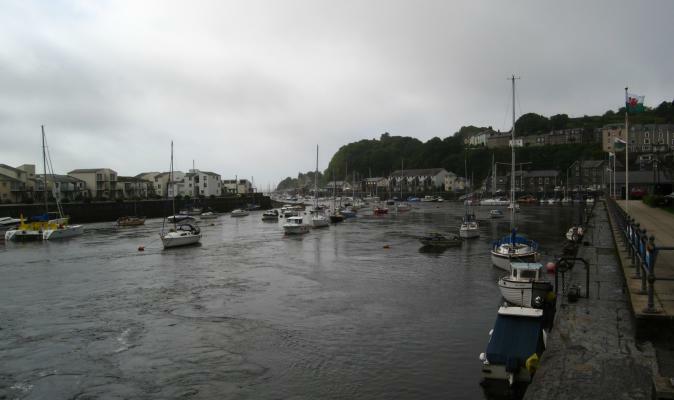 The town has a long maritime history and was a busy port for the international slate trade, brought down from Blaenau Ffestiniog. 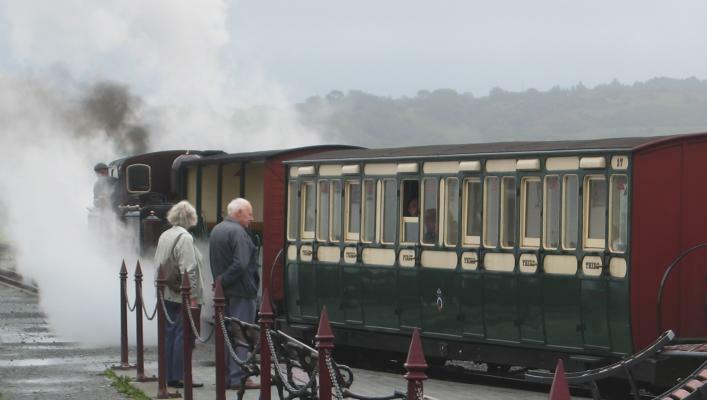 The Ffestiniog Railway is a beautiful 21km trek through meadows, woodlands, lakes and waterfalls within Snowdonia National Park. The railway was constructed after an Act of Parliament was passed in 1832; it runs from Porthmadog to near Ffestiniog and opened on 20th April 1836. The first steam locomotives were put in use of October 23rd 1863 at a cost of �1000 for each of the two engines; before that horses were used. Passenger services started in 1865 and carried over 100,000 passengers per year for the first three years along with 100,000 tons of slate. In the 1880's the slate industry declined and, as long ago as 1900, the company had come to rely on tourists for its income. Don't forget to visit Portmeiron Village (where the cult TV series 'The Prisoner' was filmed). The unique and famous Italianate village was built to a smaller than normal scale by the architect Sir Clough Williams-Ellis. Portmeirion is halfway between Porthmadog and Penrhyndeudraeth and located on a rugged cliff top on its own private peninsula overlooking Cardigan Bay and is surrounded by subtropical woodlands and miles of sandy beaches. The walks alone are well worth the visit.